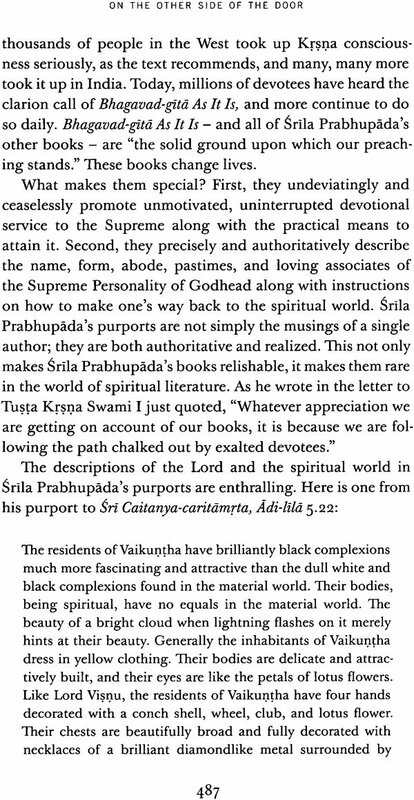 In this very readable books, Vaisesika Dasa discusses both why we should join the family business of distributing transcendental knowledge through the written word as well as how book distribution benefits distributors, the devotional community, and all those who receive one of Srila Prabhupada's books. 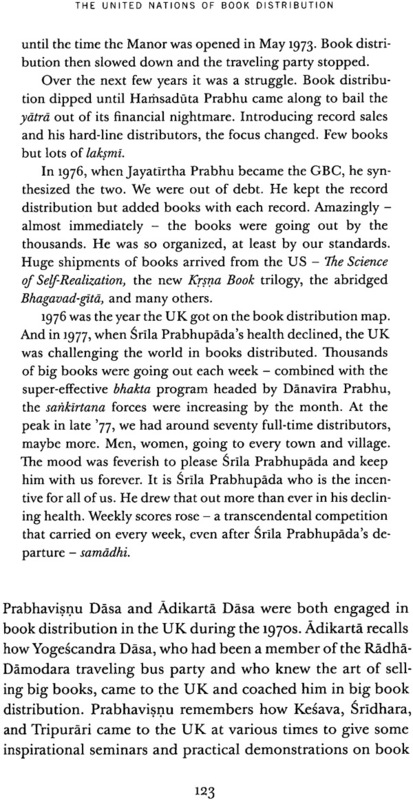 • The history of book distribution in ISKCON. 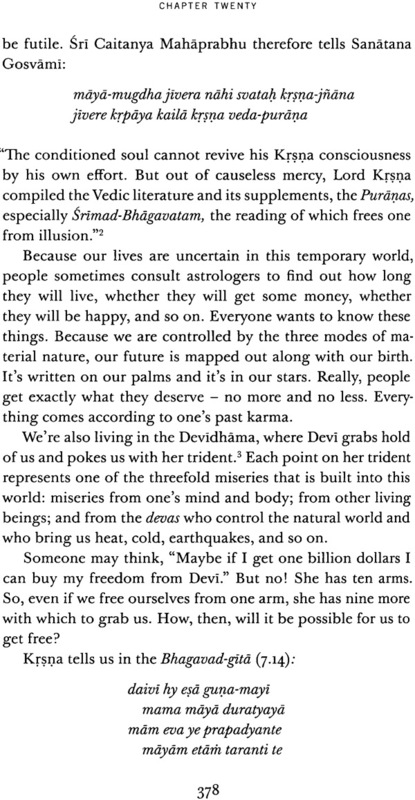 • How book distribution is "literary Kirtana" and perfectly links one to the yuga-dharma. 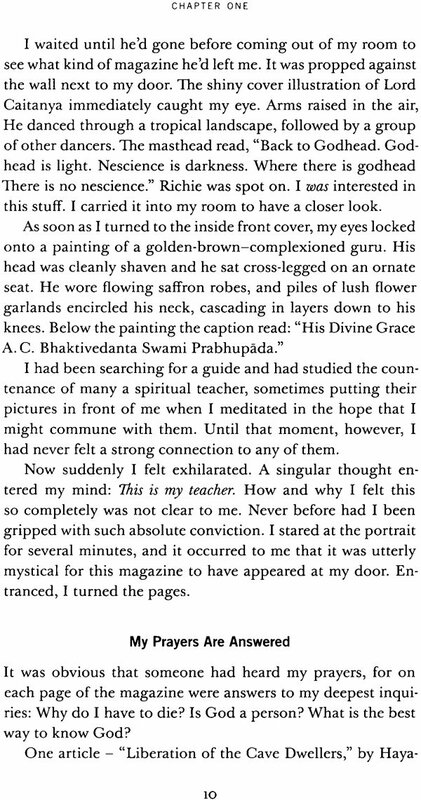 • How performing book distribution is high sadhana and instills a taste for hearing and chanting. • The Four Laws of Book Distribution – proven principles guaranteed to improve and increase your book distribution. • Fun and practical ways to involve your whole community in sankirtana. Our Family Business makes it clear that every devotee and every service is part of the sankirtana effort. Even if book distribution is not your primary service, expect to be enlightened, encouraged, and enlivened by reading this book. Vaisesika Dasa was born in 1956. 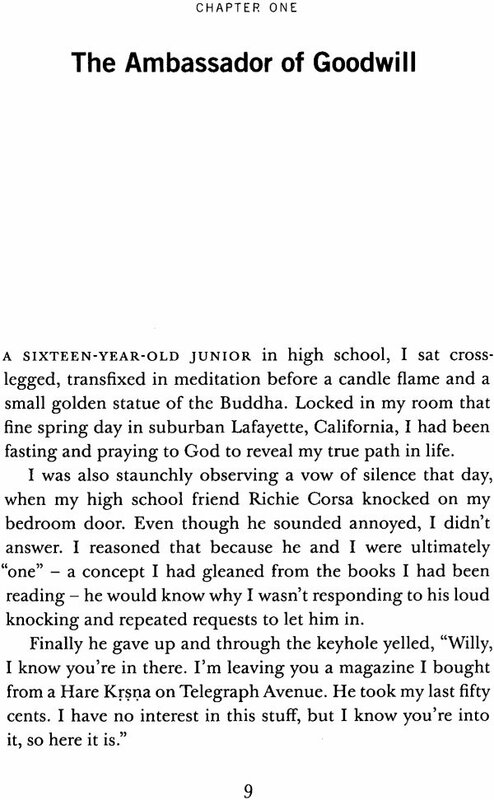 As a teen, he was an avid spiritual seeker. 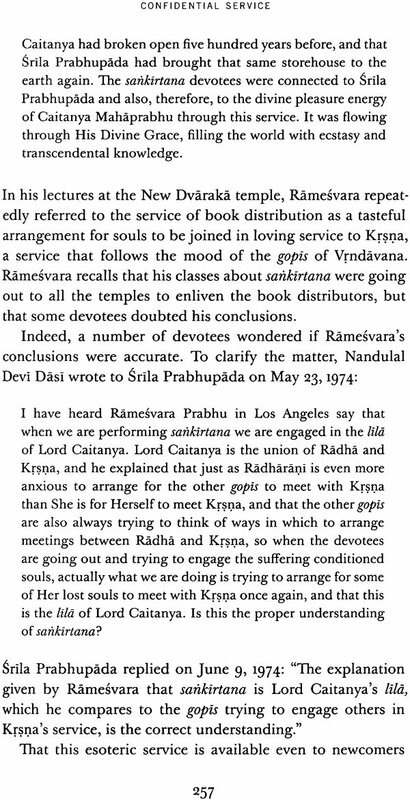 Soon after receiving a Back to Godhead magazine from a friend in the spring of 1973, he moved into the ISKCON temple in San Francisco at the age of sixteen and, with the blessings of his parents, became a disciple of Srila Prabhupada and a full-time monk dedicated to the practice of Krsna bhakti. Today he lives in the San Francisco Bay Area with his wife, Nirakula Devi Dasi, also a disciple of Srila Prabhupada. Together they have developed an ISKCON community of three hundred families in Silicon Valley, which is based on the study and distribution of Srila Prabhupada's books. He is initiating guru in ISKCON. He travels widely o teach the tenets of devotional service and the great art of distributing Srila Prabhupada's books. The gratitude I feel toward the author of this work, Vaisesika Prabhu, Surpasses the ability of my words to do it proper justice. And yet that gratitude becomes enhanced, in quantity and quality, when I consider the joy and satisfaction Our Family Business is unquestionably providing to Srila Prabhupada, in whose eternal divine service this work has been Written. Srila Prabhupada surely sees what even I can see: that this book is a kind of potent seed, which, being broadcast and cultivated in the fertile fields of ISKCON, Swill produce its superabundant fruit all over the world. The primordial originator of our sampradaya – the extended family indicated by the title of this work – is Lord Brahma. He is also the deputed creator of our universe. The knowledge, theoretical and practical, enabling him to create had been instilled in him to create had been instilled in him prenatally by the Supreme Brahman. Consequently, Brhma is known As veda-garbha, "impregnated with the Vedic knowledge from his very birth," or "a Vedantist from the embryo." Iconographically, Lord Brahma's inviolable possession of Vedic knowledge is signified by the book grasped in one of his hands. 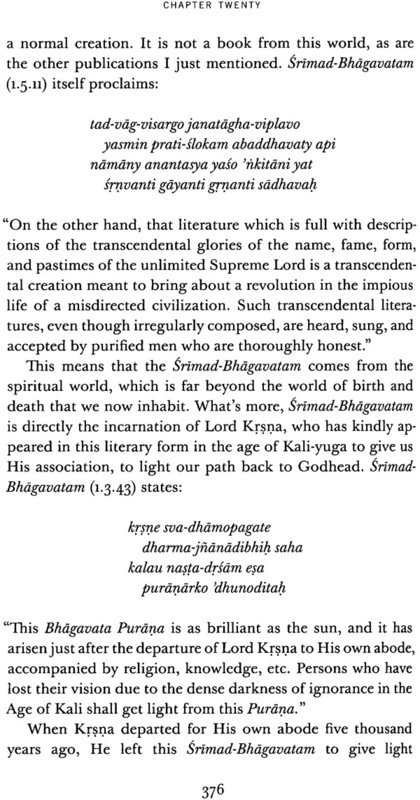 However, Srimad-Bhagavatam relates, Brahma felt unfulfilled with merely creating the cosmos. After all, it is just a big prison, a penitential dwelling for the numberless fallen souls. Lord Brahma didn't want to be a mere jailer. He knew that the prison was meant for its inmates' rehabilitation and release, and he was wager to participate in that effort. Receiving further empowerment from Lord Krsna, Brahma inaugurated his special project by imparting potent knowledge to his son Narada Muni, who set out to distribute that knowledge throughout his father's vast creation. This is how our family business got started: endlessly traveling everywhere, Narada Muni, "the eternal spaceman," went out on sankirtana. More recently, Narada's disciple Vyasadeva, foreseeing the moral and cognitive debilitations soon to afflict the human race in Kali-yuga, edited that body of knowledge and committed it to writing. One portion of it, however, he withheld, judging it too lofty for liberal distribution. Yet after Narada's prodding, he made even that accessible - that highest and most confidential knowledge of divinity: the Vrndavana pastimes recently enacted on earth by Krsna Himself. This supreme revelation discloses the private life of God - the Lord's most unceremonious diversions with intimate associates, in which Krsna's exquisite sweetness and charm eclipses His awesome majesty. This rare and priceless revelation is offered only once within a day of Brahrna, that is, once every 8,600,000,000 of our earthly years. And Vyasadeva wrote it down. He realized that only a rare soul would have the qualifications to grasp what he had set down - an open secret, but still a secret. However, both Vyasa and Narada knew what Brahma knew: that in the same yuga cycle in the day that Vrndavana-Krsna descends, the Lord descends once more, and this time not as the Supreme Lord but as the Lord's supreme devotee - as Sri Caitanya Mahaprabhu. The characteristics of Krsna are understood to be a storehouse of transcendental love. Although that storehouse of love certainly came with Krsna when He was present, it was sealed. But when Sri Caitanya Mahaprabhu came with His associates of the Pafica-tattva, they broke the seal and plundered the storehouse to taste transcendental love of Krsna. The more they tasted it, the more their thirst for it grew. Sri Pafica-tattva themselves danced again and again and thus made it easier to drink nectarean love of Godhead. They danced, cried, laughed, and chanted like madmen, and in this way they distributed love of Godhead. In distributing love of Godhead, Caitanya Mahaprabhu and His associates did not consider who was a fit candidate and who was not, nor where such distribution should or should not take place. They made no conditions. Wherever they got the opportunity, the members of the Pafica-tattva distributed love of Godhead. Although the members of the Pafica-tattva plundered the storehouse oflove of Godhead and ate and distributed its contents, there was no scarcity, for this wonderful storehouse is so complete that as the love is distributed, the supply increases hundreds of times. The flood of love of Godhead swelled in all directions, and thus young men, old men, women, and children were all immersed in that inundation. The Krsna consciousness movement will inundate the entire world and drown everyone, whether one be a gentleman, a rogue, or even lame, invalid, or blind. When the five members of the Pafica-tattva saw the entire world drowned in love of Godhead and the seed of material enjoyment in the living entities completely destroyed, they all became exceedingly happy. The more the five members of the Pafica-tattva cause the rains of love of Godhead to fall, the more the inundation increases and spreads all over the world. 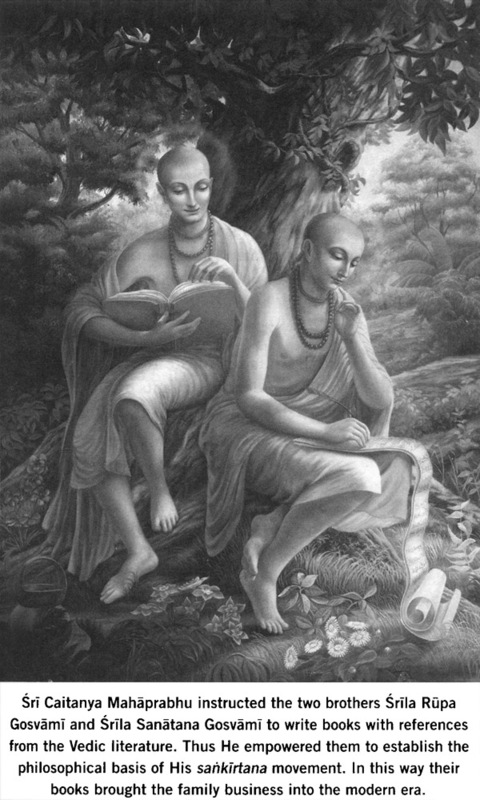 Significantly, Lord Caitanya elected to receive Vaisnava initiation into the Brahma-sampradaya, whose originator displays a book as his distinctive attribute, and whose acaryas became so distinguished for literary production that their lineage became known as "the sampradaya of the book." Book production and distribution - as Vaisesika Prabhu so nicely explainsis "literary sankirtana," and as such was greatly appreciated by Mahaprabhu. Lord Caitanya specifically engaged His highly cultured successors, the Six Gosvamis of Vrndavana, in literary production, and they brought into the world an immortal library of superb devotional works. 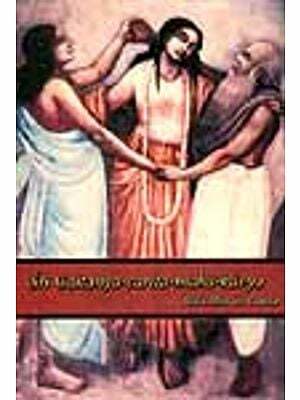 Others, like Visvanatha Cakravartl Thakura and Srila Baladeva Vidyabhusana, followed. Writing at the end of the sixteenth century, Krsnadasa Kaviraja foresaw that the flood of prema let loose by Lord Caitanya would one day inundate the whole world. That global flood began with Srila Bhaktivinoda Thakura who, in the final decades of the nineteenth century, came out with a torrent of books and periodicals to present Lord Caitanya's teaching to an urban, modernizing, "English-knowing," Indian middle class. In 1896, his English-language essay "Sri Caitanya Mahaprabhu: His Life and Precepts" went out to university libraries in the West. His son Srila Bhaktisiddhanta Sarasvati Thakura continued his father's work in the same spirit. Writings poured from his press. Srila Sarasvati Thakura's ambition was global. In 1927 he refashioned his father's Bengali-Ianguage journal Sajjana-tosani into the English-language The Harmonist, and, having established over sixty Gaudlya Matha temples through the length and breadth of India in record time, dispatched three disciples to London in 1933. They were armed with a 762-page English-language tome entitled Sree Krishna Chaitanya, the first of three projected volumes. They delayed their voyage until they had some of the just-printed books in hand. These first waves of prema were harbingers of the flood to come. There was a pause: The Oaudiya Matha became debilitated and distracted by internal strife. And the whole globe became engulfed by modern, high-tech warfare, producing eighty million fatalities - a testimony of sorts to "progress." Animated by the order and by the example of his spiritual master, Srila Prabhupada began the English-language Back to Godhead magazine in 1944, as war raged around him. By 1960, preparing to go to the West, he took sannyiisa and began work on the three volumes of Srimad-Bhagaoatam he would take with him on the Jaladuta in 1965. His mission to the West was thus carefully modeled after Srila Bhaktisiddhanta Sarasvati Thakura's mission of 1933. That 1933 effort had been conducted with the concerted force and resources of the entire Gaudiya Matha behind it; this 1965 effort was undertaken by one old man, alone and unsupported. Lacking money, health, and youthful energy, Srila Prabhupada ignited in America and then Europe "the Hare Krsna explosion," releasing the flood of prema that would cover the world. What was his secret? How did he do it? Our Family Business tells us, quite methodically, how Srila Prabhupada did it. Not only does Vaisesika Prabhu know how Srila Prabhupada did it, he teaches us how we can do it too. 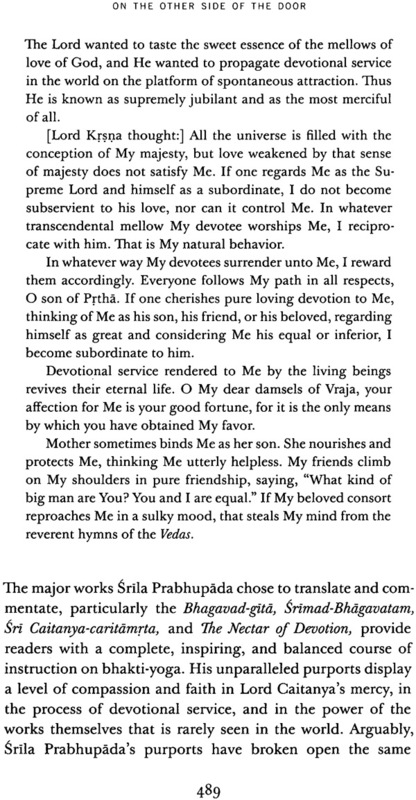 Can we be like srna Prabhupada? I vividly remember when I learned the answer, in the fall of 1971, when I was a brand-new temple president in Philadelphia. I received a photocopied newsletter mailed out by Syamasundara Dasa, Srila Prabhupada's secretary, then traveling with him in Africa. Syamasundara recounts a particular occasion when Srila Prabhupada was reflecting on his accomplishments. They had just come from London, where Srila Prabhupada had defeated in debate the secretary of Mensa, the high IQ society. After recalling this, Prabhupada went on to say: "I am one person, and just see what I have done. Now we are five hundred [initiated disciples]. So each oJyou become just like me and see what can be done." To be sure, Our Family Business is written specifically as an instruction manual for book distribution, yet the work covers its subject so thoroughly and deeply that it simultaneously serves as a superb instruction manual for Krsna bhakti itself. Even if book distribution is not your primary service, you will still find yourself enlightened, encouraged, and enlivened by reading and rereading Our Family Business. It will inspire and guide any and every devotee to improve any service he or she may undertake for Krsna: cook, pujari, farm worker, yard worker, manager, teacher, editor, or writer - it doesn't matter. Moreover, every devotee should, in one fashion or another, share Krsna consciousness with others. Sankirtana is everyone's dharma. Even though you've just picked up this book and it's pos- sible that we're meeting for the first time, I want to reveal my heart to you about why I wrote this book before you go any further. Srila Prabhupada's books rescued me from the material world. I never wanted to be a normal high school kid. I wanted to know more about life and truth than the mundane subjects they teach you. I wanted to know what death is and why I have to die. As educated and well meaning as my teachers and parents were, however, they couldn't answer such questions. 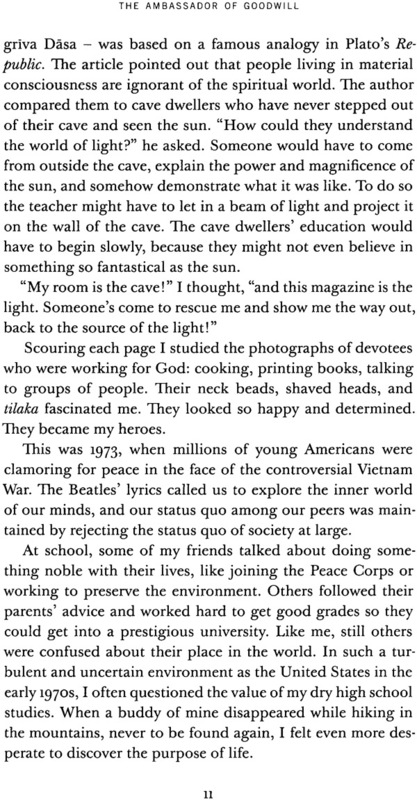 I was sixteen when I set out on my spiritual quest. I gave away most of my possessions and stopped wearing shoes and riding in cars. I fasted, prayed, and meditated. In my quest for answers to life's troubling mysteries, I read any book that looked spiritual. Because I was able to formulate questions, I believed there must also be answers to them, so I kept looking. 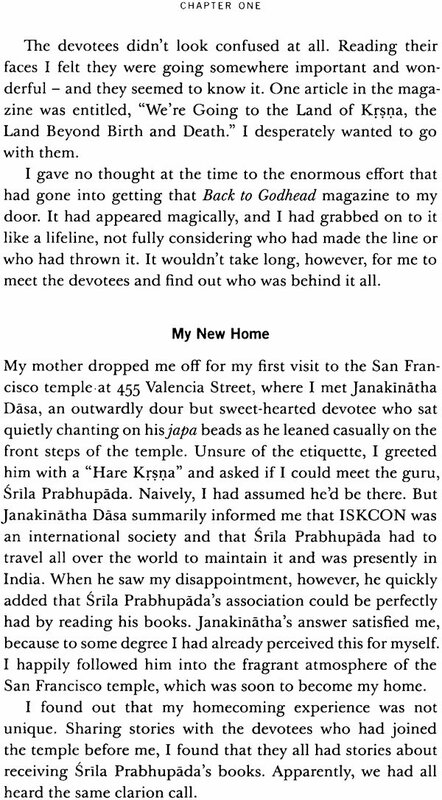 My persistence paid off the day I received one of Srila Prabhupada's Back to Godhead magazines. As I read and reread it, I found myself touched to the core by Srila Prabhupada's clear, confident, authoritative voice. Reading him was different from reading anyone else. He answered the questions that were haunting me, but he also answered questions I hadn't known to ask. I took complete shelter of Srila Prabhupada and his books in the summer of 1973. Studying and distributing them have been my life's mission ever since, and in this book I share some of the things I've learned over four decades of performing this service for Srila Prabhupada's pleasure. I called this book Our Family Business because Krsna's devotees are a family and it has always been the business of that family to share Krsna's glories with as many people as possible. Srlla Prabhupada, as a good son of his spiritual master, considered every sincere member of his spiritual family and every service rendered as important and equally valuable. Still, anyone who served directly under Srila Prabhupada, or anyone who has made a careful study of his writings, can't help but notice that Srila Prabhupada was especially pleased when his devotees went out to teach Krsna consciousness to others, especially by distributing his books. 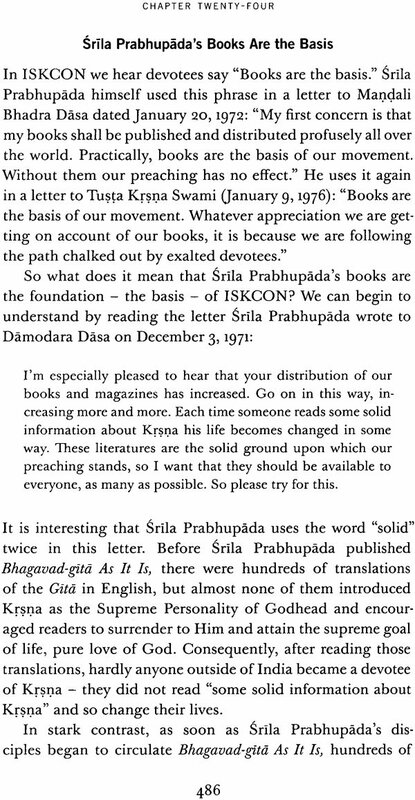 On October 27, 1976, for example, Srila Prabhupada wrote to Jayatirtha Dasa, "Krsna becomes more and more pleased by seeing the increment of book distribution. Devotional service is absolute, but one who preaches His message becomes very dear to Lord Krsna." May this book remind us of Srila Prabhupada's penchant for printing and distributing his books. May it in still in future generations of workers in Srlla Prabhupada's family business, no matter what service they may perform, that distributing his books has a special place in Srila Prabhupada's heart and in the hearts of our previous acdryas, and that pleasing the guru is the active principle that allows advancement in Krsna consciousness. In these pages I have mostly written about the history of book distribution from Srila Prabhupada's arrival in the US in 1965 until his departure from this world in 1977, for these histories clearly show the direct correlation between the rapid growth of book distribution and the astonishing expansion of the Hare Krsna movement. 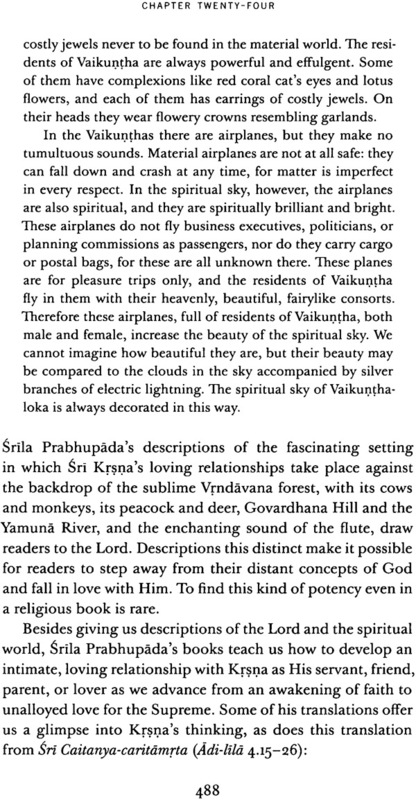 Srila Prabhupada confirmed this correlation in an arrival address given in Los Angeles on June 20, 1975: "Print as many books in as many languages and distribute throughout the whole world. Then [the] Krsna consciousness movement will automatically increase." But al-though I mainly stayed within those years when discussing the history of book distribution, I don't want to give the impression that the story ends there or that those years are all that matter. So I have set up a wiki page – ourfamilybusiness.info – where devotees can continue telling this very important story. Please visit, tell us of your own history and realizations and of all the accomplishments you or others have had regarding book distribution that don't appear in the pages of this book. 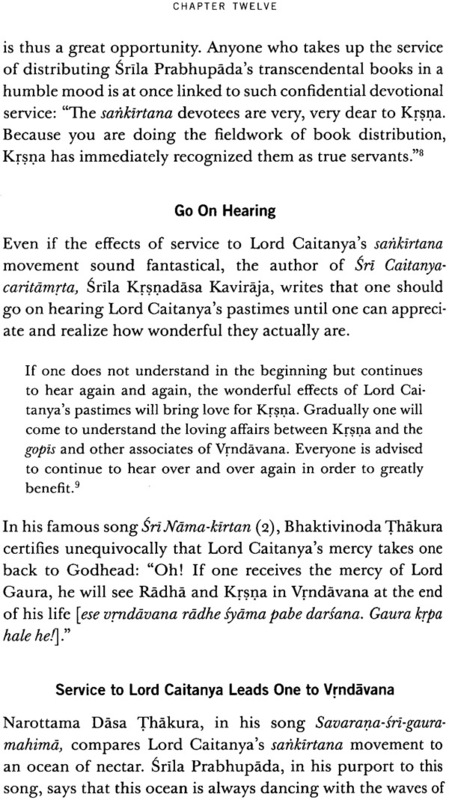 People often that despite ISKCON's earlier success in expanding book distribution, many things could have been done better. I agree. Aspiring to improve one's service is an eternal principal. Success in the service of distributing Srila Prabhupada's books depends particularly on the quality of one's consciousness. Book distribution is special service in that Krsna arranges for devotees to meet a wide variety of souls in order to plant the seed of bhakti in their hearts. During that intense endeavour, distributors are tested in unique ways, and they make the mistake of putting off the very persons they are trying to benefit. While representing the Supreme, for example, devotees can easily develop a condescending attitude and, losing track of their own compassion and humility, mistreat or disrespect the people they are approaching. Disre-specting others is not only forbidden in scripture, it is counterproductive in the spreading of Krsna consciousness. The world doesn't need a new group of fanatics. Rather,it needs compassionate, well-adjusted devotees who genuinely care about each person they meet. It is not only vital that people receive Srila Prabhupada's books but that we deliver those books in ways that endear us to their recipients. What's more, those entrusted with management positions in the sankirtana movement must always remember that it is their sacred suty to care for the devotees in their charge. Unfortunately, we didn't a;ways have that understanding in the past. Managers who put money and bricks before the spiritual advancement and practical necessities of the devotees under their care do more harm than good. Managers must remember that purity is the force. Learning to distribute Srila Prabhupada's books on their own merit and thus allowing the distributors to feel the joy and spiritual depth that comes from sharing Krsna consciousness with others is very different from engaging devotees in selling stickers, candles, paintings, and who knows what else. Many of the anomalies some of us now attribute to book distribution were actually caused by ill-advised diversions into selling anything but books in the name of sankirtana. According to the revealed scriptures, if a spiritual master can convert even one soul into a perfectly pure devotee, his mission in life is fulfilled. srna Bhaktisiddhanta Sarasvati Thakura always used to say, "Even at the expense of all the properties, temples, and mathas that I have, if I could convert even one person into a pure devotee, my mission would be fulfilled." It is very difficult, however, to understand the science of Krsna, what to speak of developing love of Godhead. Therefore if by the grace of Lord Caitanya and the spiritual master a disciple attains the standard of pure devotional service, the spiritual master is very happy. The spiritual master is not actually happy if the disciple brings him money, but when he sees that a disciple is following the regulative principles and advancing in spiritual life, he is very glad and feels obliged to such an advanced disciple. To neglect the spiritual, emotional, and physical needs of the devotees who are pushing on Lord Caitanya's mission is immoral. Mature or enlightened leaders understand that devotees who come to the Krsna consciousness movement are not only special souls but volunteers. Such surrendered souls must be protected and encouraged, never exploited or coerced. In Our Family Business, I emphasize empowerment over bureaucracy and encouragement over coercion. White Castle Is A Popular American fast-food chain known for its stark-white castlelike buildings and cheap burgers. Nationally, franchises like these move millions of tons of product: the meat of cows systematically slaughtered to satisfy the whims of people's tongues. After reading Srimad-Bhagaoatam, who could not easily identify these eateries as fortresses from which Kali personified dispenses sin - wholesale? It was by design, then, that my dear godbrother Divyanga Dasa and I regularly stormed the gates of the White Castle in St. Louis, Missouri, in order to distribute Srila Prabhupada's books to its customers inside. During the early 1980s, every Saturday afternoon, after a day of distributing books at Lambert Field (St. Louis's international airport) and on our way back to the temple, we'd make a detour through the poverty-stricken inner city of St. Louis. Divyanga would pull up his silver Chevy Caprice Classic out-side the White Castle there and keep the engine running while I ran in, cradling a stack of bright blue First Canto Srimad-Bhagaoatams, and handed one to every customer. After a week of selling books at the airport, we usually had an excess of donations. We wanted to share the wealth by distributing extra books as charity. Although some people in the White Castle donated for their book, those who didn't still got to keep it if they wanted to. After these excursions Divyanga and I would marvel - and we still do today - at how the sublime Srimad-Bhagaoatam, which "rejects all religious activities that are materially motivated," ended up in the trunk of his Chevy and traveled all the way to the inner city of St. Louis, Missouri, where illiteracy rates were said to run high and even those who did read books would never have dreamed of buying a book like Srimad-Bluigaoatam. We wondered at it, but we knew how this miracle had happened: Srila Prabhupada had performed it. Following the words of Narada Muni - "This Srimad-Bhagaoatam is meant to create a revolution in the impious lives of the world's misdirected civilization" - Srila Prabhupada had loaded two hundred sets of these hardbound Vaikuntha deities into trunks, brought them to the shores of America, and launched a fullscale spiritual revolution with them. Before that, he had been based at his Radha-Darnodara sanctuary in Vrndavana, painstakingly drafting and assembling in three volumes the First Canto of Srimad-Bluigaoatam, a work containing the world's most detailed knowledge of God. These books first hit the humming streets of Manhattan before being launched onto the streets of cities around the world. By extreme good fortune, Divyanga and I were among the thousands whose lives were transformed by these books and who had joined Srila Prabhupada's spiritual revolution. Now, as card-carrying members of this insurgency, we ran every-where to distribute these books to everyone we met. In the material world, every soul feels unbearable stress. The pure spiritual being, encased in a gross body and subtle mind, takes a beating life after life, suffering dearly. Srila Prabhupada writes about an "ocean of tears" in his purport to Srimad-Bhagaoatam 3.28.32, created by the accumulated tears shed by souls disappointed and confounded by life's reverses. To avoid the distress built into the hard struggle for existence, some people numb themselves with intoxication; others take to philosophical speculation to justify and sidestep the gloom. But in Srimad-Bhagaoatam 1.5.32, Narada Muni explains to Srila Vyasadeva the real cure: "0 Brahmana Vyasadeva, it is decided by the learned that the best remedial measure for removing all troubles and miseries is to dedicate one's activities to the service of the Supreme Lord Personality of Godhead [Sri Krsna]." 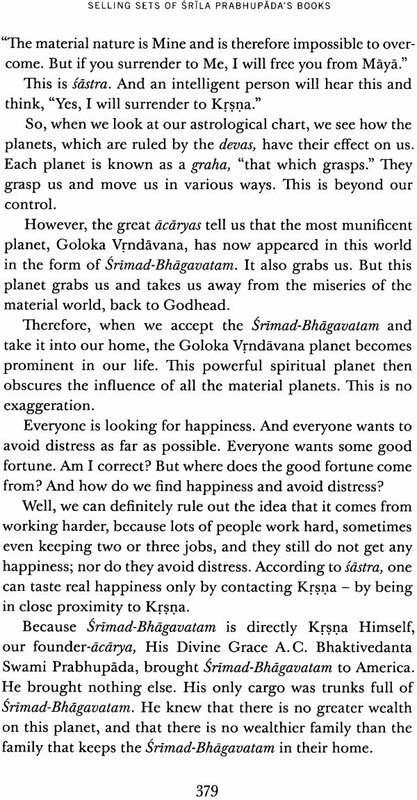 Page by page, Srila Prabhupada's writing dispenses medicine to the materially distressed mind: hearing about Lord Krsna from the mouths of His pure, unmotivated devotee. Ultimately, the cause of all suffering is ignorance, and ignorance leads to sinful deeds and the karmic reactions for them. In Lord Krsna's own words, spoken in Bhagaoad-gitd 4.37, transcendental knowledge burns to ashes all the karmic reactions of a living being, just as a fire burns to ashes unlimited fuel supplied to it. Rupa Gosvami therefore says that the greatest charity work one can do is to distribute transcendental knowledge. Transcendental knowledge relieves people's suffering, and those who receive such knowledge learn not only why they are suffering but how to stop it forever. Following this order, the Vaisnavas sacrifice their own peace of mind and move into the cities to distribute this medicine to the needy. Srila Prabhupada, for example, despite every conceivable obstacle - old age, declining health, no money, and no connections -left the holy land of Vrndavana and daringly boarded a freighter bound for America, bringing with him only a few meager personal effects yet trunks of First Canto Srimad-Bluigauatams. 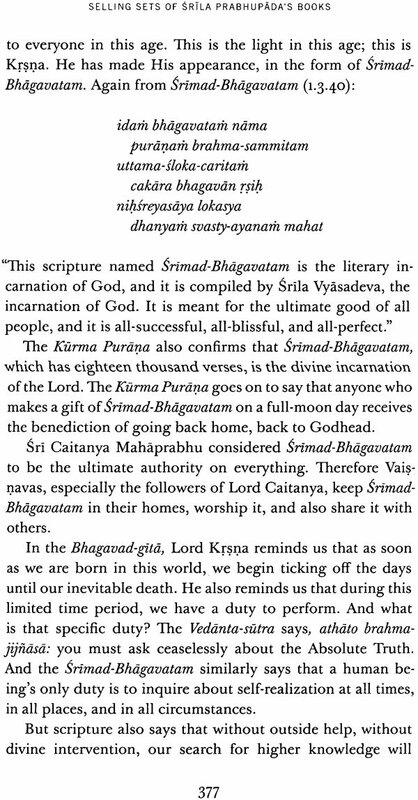 The Srimad-Bhagaoatam is pregnant with the words of Lord Krsna and pure devotee saints such as Uddhava, Maitreya, Vidura, Brahma, Narada, Sukadeva, Pariksit, and Prahlada, and the books Srila Prabhupada brought were further embellished with his own sublime purports, the fruits of his lifelong practice of hearing with rapt attention the words of his spiritual master, Srila Bhaktisiddhanta Sarasvati Thakura. As it turned out, people everywhere were ready to hear this spiritual message. I have therefore written OUT Family Business to encourage devotees everywhere to distribute transcendental knowledge, most particularly in the form of Srila Prabhupada's books. This book is meant not only to help devotees in their quest to learn or perfect the art of distributing Srila Prabhupada's books, but also to inspire and assist those who are organizing this great transcendental sacrifice. The aim is to create a culture that will live and breathe book distribution, an atmosphere in which devotees can find true happiness in meeting people and introducing them to Krsna consciousness. Through hearing, chanting, and relishing what's in the books, and through organizing in a systematic way the distributors and the devotees who back up the distributors, my hope is that Srila Prabhupada's movement will be reinvigorated with the spirit Srila Prabhupada himself breathed into it: "Distribute books, distribute books." Nothing will please His Divine Grace more. Srila Prabhupada not only asked that his books be widely and profusely distributed, but he also encouraged his followers to become expert in presenting them. In a letter to Bali Mardana Dasa dated December 31, 1972, Srila Prabhupada calls books distribution a "great art". I am convinced that if you simply glorify Krsna and our books in the best descriptive manner, that anyone and everyone, no matter even atheist or otherwise, they can be convinced to purchase. Of course that is a great art and not everyone can do it, but gradually by practice of preaching in this way, striving to so much present a wonderful picture of our books to the people, gradually you will master the trick of our to do it. 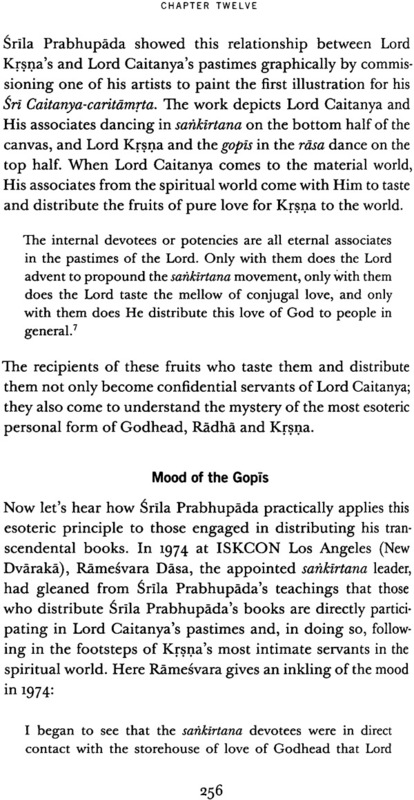 Moreover, Srila Prabhupada recommended distributing his books as a practice for advancing in spiritual life (sadhana). In his purport to Srimad-Bhagavatam 10.2.37, for example, he writes: "By fully concentrating on distributing books for Krsna, one is fully absorbed in Ksna. This is Samadhi." And in another letter typical of his fire for spreading Krsna consciousness, he calls on his followers: "Whenever possible, try to talk about Krsna consciousness to your friends or whomever you may meet. Simply by this attempt you will get suyperior strength and knowledge about Krsna consciousness." In Our Family Business, we look into not only how distributing Srila Prabhupada's books is important to individual ISKCON devotees as sadhana, but also how and why it is vital Society as a whole. Many devotees already regularly distribute books, and a growing number of other devotees are eager to get involved. Experts, newcomers, well-wishers, retirees in need of a refresher course – all will find something in this book to inspire them. Finally, this book is meant to give a fresh and favourable second look at distributing books for those who, for whatever reason, non think of it disparagingly. Our Family Business also discusses the history of book distribution in ISKCON, and includes foundational principles for building a successful book distribution program, the paramount importance of proper conduct in public, illustrative and inspirational first-person stories with dialogue, new methods of book distribution, secrets of highly effective book distributors, and more. How did Srila Prabhupada feel about the need for such an intense endeavour to organize the distribution of his books? He wrote in a letter to Tajiyas Dasa on January 5, 1973: "Tax your brain for finding new ways and better ways for distributing our books widely." In writing this book I have sincerely tried to do just that. If on account of taxing my brain one more devotee is inspired to take up this or one extra book is distributed, I will consider the book a success. And if Our Family Business helps spark a second wave of massive book distribution in my lifetime, I will die a happy soul. What's So Special About Srila Prabhupada?